The LASP-operated NASA Kepler spacecraft has discovered two planetary systems that include three super-Earth-sized planets in the “habitable zone,” where the surface temperature of a planet may sustain liquid water. The first system, Kepler-62, has five planets: 62b, 62c, 62d, 62e, and 62f. The super-Earth-size planets are Kepler-62e and 62f, which orbit a star smaller and cooler than the Sun. Kepler-62f is just 40 percent larger than our home planet; it is the exoplanet closest to the size of Earth discovered in the habitable zone of another star. The second system, Kepler-69, has two planets: 69b and 69c. 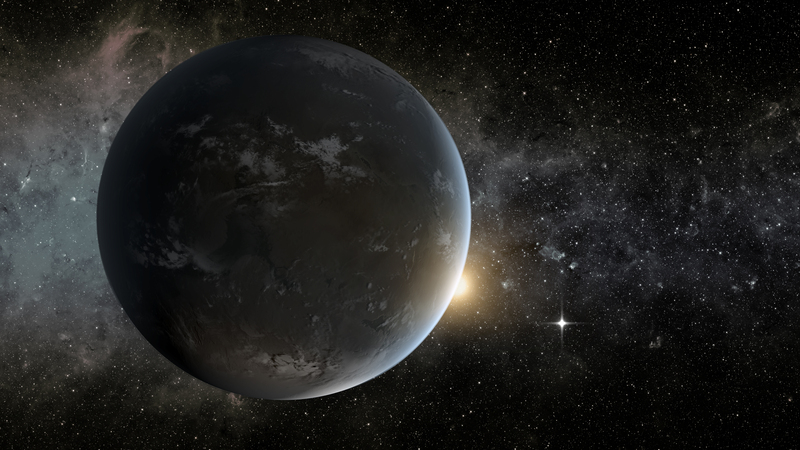 Kepler-69c is the super-Earth-sized planet in this system. The planet is 70 percent larger than Earth and orbits a sun-like star in 242 days—an orbit similar to that of Venus. Scientists do not know whether life could exist on the newly discovered planets, but the finding indicates that Kepler continues to move us closer to finding an Earth-like planet orbiting a sun-like star. LASP manages Kepler Mission Operations from our CU-Boulder facilities, and trains students to operate the spacecraft under the guidance of LASP professionals. For more information about the LASP Mission Operations & Data Systems group, please visit http://lasp.colorado.edu/home/mission-ops-data.